2,100 S/F building with restroom(s) and 2 Drive-In Doors @ 10'x10' each. Landlord will assist with re-fitting and improvement costs to convert to a qualified tenants requirements. 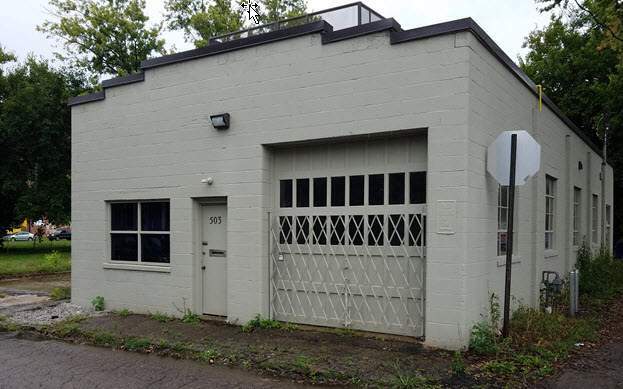 The Landlord is targeting uses which enhance and support the: EAST FRANKLINTON ARTS DISTRICT NEIGHBORHOOD REVITALIZATION MISSION. Off street parking for +/- 8 cars on adjacent lot. 100 amp/3 phase electric. Offered for lease @ $1,925/Month or $11.00/Sq. Ft.